Buzz Aldrin and Neil Armstrong plant a U. S. Flag on the surface of the moon 45 years ago. It occurred to me as I watched NASA’s remastered version of it on YouTube that you probably would’t have been considered for the Apollo program if your name was something like Dmitri Yurikov or Zhang Chi. Armstrong. What a name. 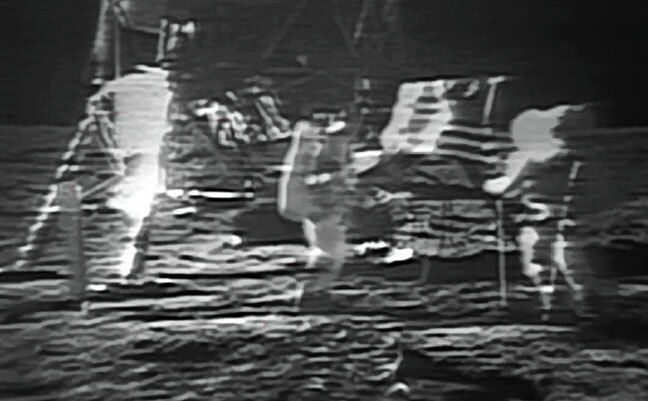 Some of the earliest memories of my life are of a black-and-white television on a standard public school audiovisual cart at the front of my first grade class, showing us the blurry, ghostly slow-scan-television images of the Apollo 11 moon landing. I remember being a little bored and confused by the event, but when CBS switched from the live cameras to their cartoon simulation of how the spacecraft looked, I thought it was the coolest I’d ever seen. Also, for what it’s worth, if you honestly believe the moon landing was a hoax, leave this web site by clicking here. In other news, Abby asked me to order her a bulk batch of her favorite coffee for our Keurig, Doughnut Shop. 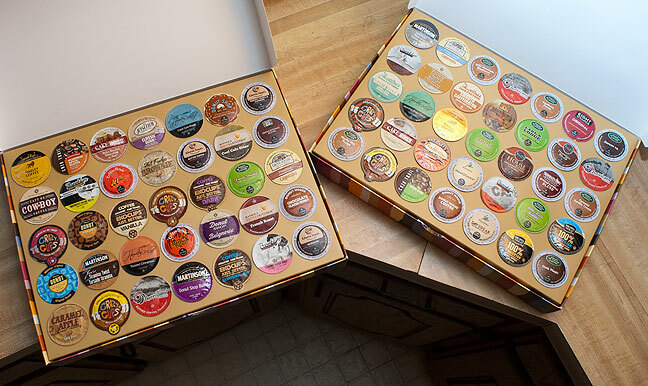 While I was buying it, I got myself a 60-count variety pack of Keurig coffees. The human adventure is just beginning. Wow. The exploration of coffee flavors has begun. Also of note is that my early memories are probably a blend of several experiences watching the moon landings. Chances are that the memory of watching in school was probably Apollo 12. When I first saw the image, I thought it was a collevtion of merit badges or exotic bottle caps mounted display. I love that i never know whereyour blog is going.